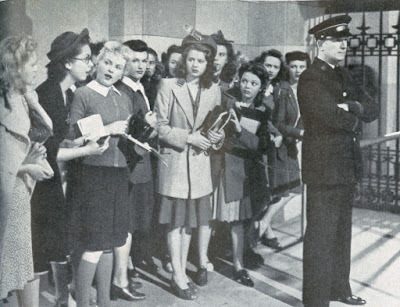 What was livelier escape from war news than MGM's teen scream about school girls hunting pic stars in the Big Apple? 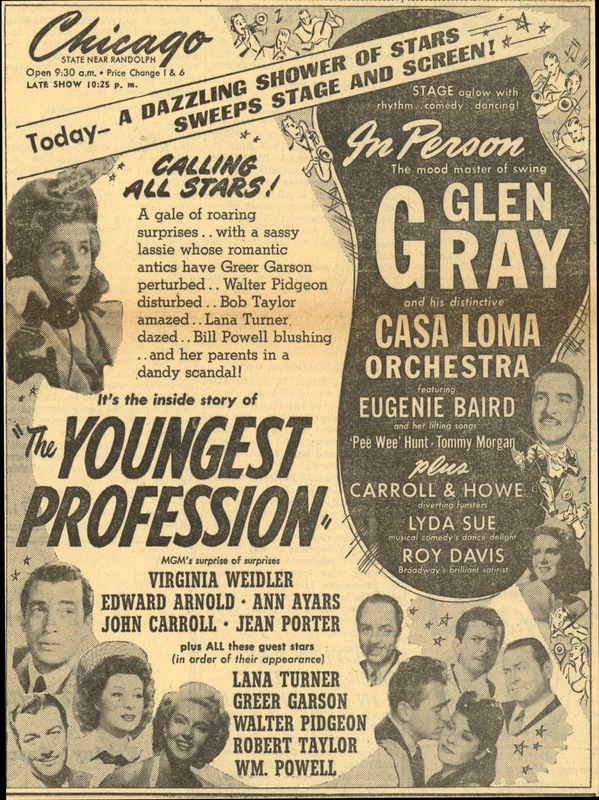 Junior Miss wasn't alone for positing adolescence as prime age for movie crazing. The studios knew their richest base was impressionable youth. Parents liked movies, sure, but it was a younger set devouring fan mags that laid for stars at train stops. Tactful handling kept followers mostly at bay, but initiative enough could score face time in hotel lobbies or stage doors if you knew celeb arrive/depart schedule, that info accessible in column space and personal app announcements. 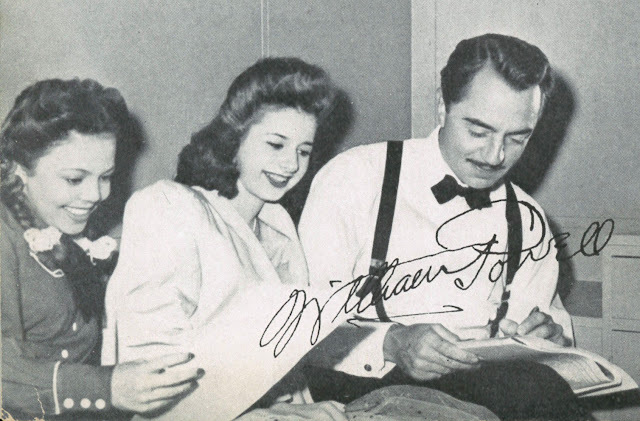 Keep up with Ebay and you'll now/again find autograph books maintained long ago by kids for whom tracking celebrities was prime goal. The best at this were fleet of foot and relentless toward the goal. How could they know grandchildren would peddle their treasure for whatever an online market would bear? Virginia Mayo told of being forbidden to leave the house in less than finest fettle, white gloves plus any/every accessory to emphasize celebrity. All the world was a stage in contract days. Fans being everywhere, you couldn't chance disillusioning them. It was vital for admirers to come away satisfied from a star meet. A same consideration went for fan mail. Players ignored this at extreme peril. Wise ones realized that a career otherwise dipping could be extended by weight of letters. Studio authority did notice support and kept score among addressees. The Youngest Profession comes right to that point via Lana Turner conserving off-set time for thoughtful response to fan missives. 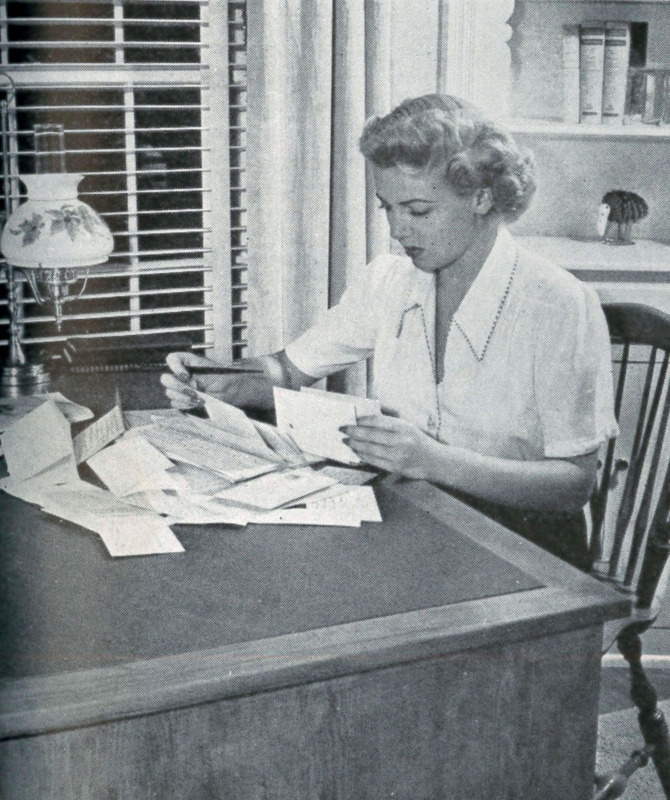 She's shown personally dictating to a secretary as messenger boys bring fresh stacks of gushing. Did Lana actually read her mail --- or even see it? Probably not ... she'd have had no time to make movies in that event ... but fans needed to know they were taken seriously by idols, and so The Youngest Profession supplied reassurance to those naive enough to buy in. 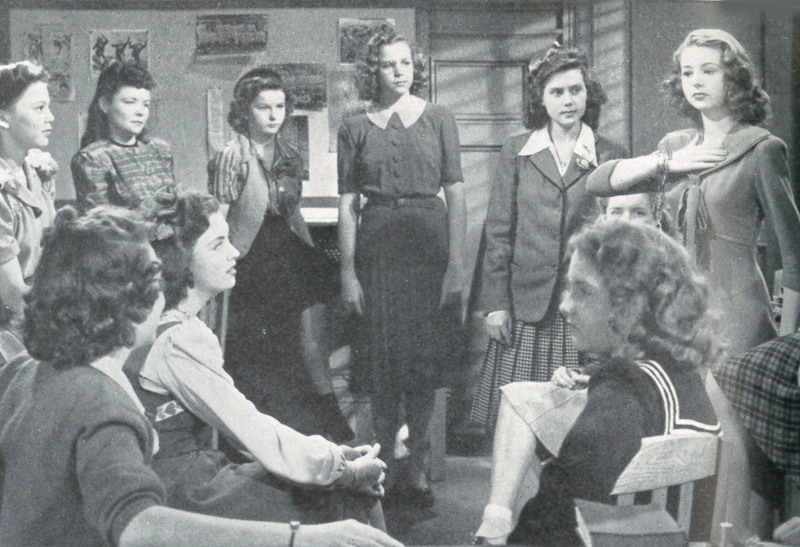 The movie-mad girls are Virginia Weidler and Jean Porter. 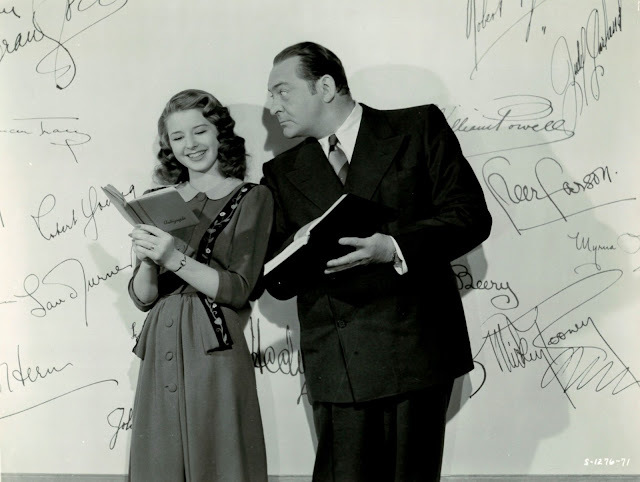 Weidler's long-suffering father (Edward Arnold) can't understand their obsession, but stops short of calling movies unworthy of a daughter's devotion. Snooty classmates call star-love "kid stuff," but it's clear they're misguided. After all, what was healthier than enthusiasm for movies? 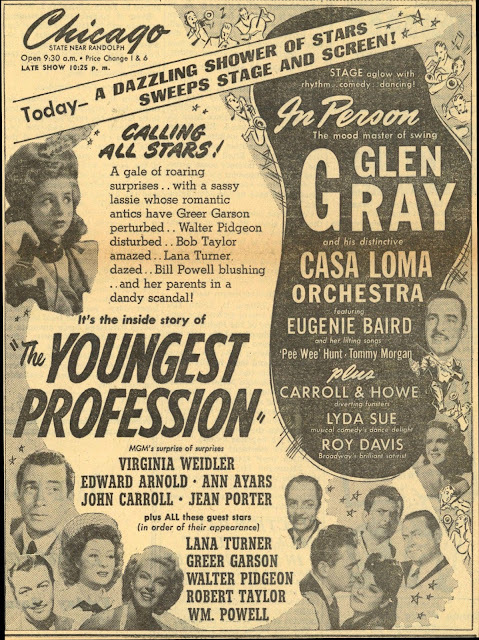 These kids aren't creeps like stalkers today; Greer Garson, in fact, invites Weidler/Porter up for tea and cakes when dogged quest takes them to her hotel lobby. And who drops in but Walter Pidgeon, gracious enough to stay and dispense life lessons to the nubile pair (imagine Errol Flynn in such a cameo). Then there is Robert Taylor, who isn't recognized by maiden aunt Agnes Moorehead, here in virtual reprise of her "Aunt Fanny" part in The Magnificent Ambersons. 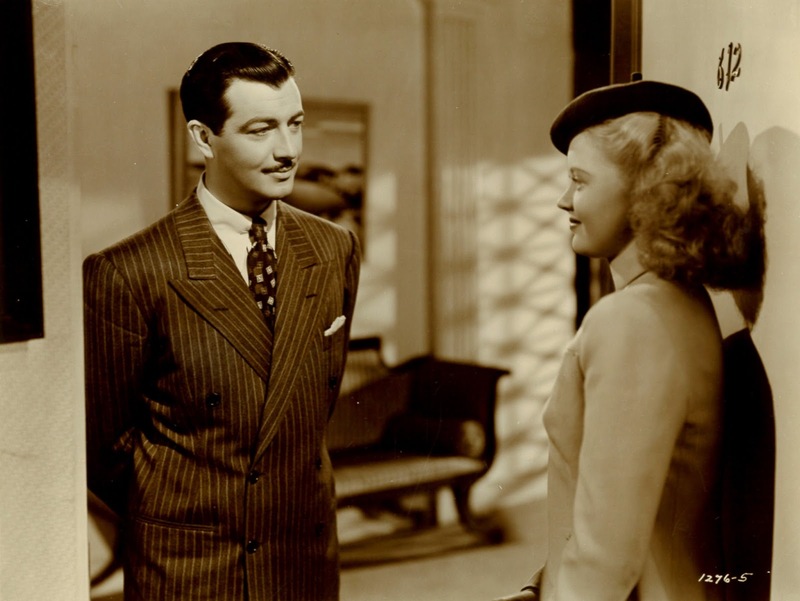 Anyone who mis-ID's Bob Taylor is quite beyond hope, and it's not coincidence that Moorehead comes in for the film's most severe comeuppance. Wartime home life is vividly enacted even as war is mostly ignored. Kid brother Scotty Beckett is a pest, but a champ for the Four Freedoms, his radio set to monitor German movement off the East Coast should that occur. He's also got the bathtub salted with defense craft to repel U-Boats. Were boys so primed for getting into action? It must have been frustration for many a fourteen/fifteen year old when peace got declared ahead of their reaching age to enlist. As in all Metro households, there is a uniformed maid and candles lit for evening meal. Offspring are precocious, but never insolent. You could switch this family with Janie's and viewers wouldn't know a difference, all the more so being Edward Arnold as Paterfamilias in both instances. 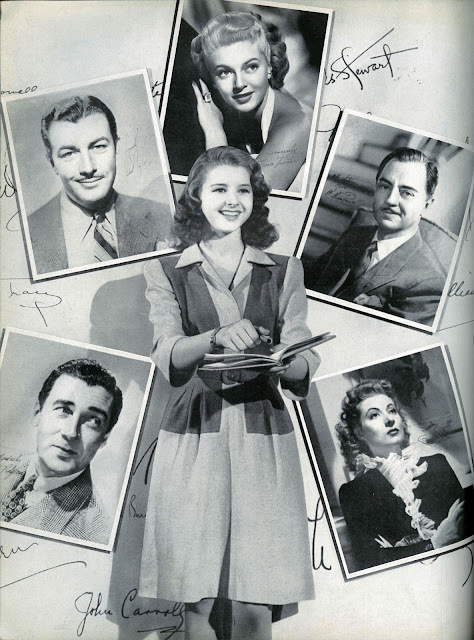 Director Eddie Buzzell, informality of billing a tip-off to how serious Eddie took himself, had been a musical comedy lead for George M. Cohan and came to megging through back door of Vitaphone shorts where he performed. Buzzell was liked by all and prized efficiency over art; in short, an ideal company man. His two Marx Brothers features for Metro aren't much valued (At The Circus, Go West), but Eddie was born to throwaways like The Youngest Profession, where nothing was at stake past getting it done within limit of budget and time. One thing this director understood was chaos of a crowded theatre. There's a scene in The Youngest Profession where the kids are jammed into rows (hard-backed chairs --- ouch!) to watch Crossroads with William Powell and Hedy Lamarr. Byplay is funny, and I'd like to think, accurate. Buzzell even puts a cherry on it appearing as a hapless patron undone by the assemblage of brats. MGM acknowledged input of fans, even as the studio reserved substantive decision-making unto itself. Publicity touted star/fan relationship as a two way street. Lana Turner was known for dispensing romance advise to femme worshippers, and Judy Garland sent dress patterns to fans in conflict over prom-wear choices. This, at least, is what we were told. Intelligent mail with sound creative suggestions must have made ways to Culver. Were there stringers that Leo relied on to gauge grassroots response to MGM product? Perhaps a file in Louis Mayer's office with correspondence from patrons who shared opinion he'd use to advantage of Metro product. For all we know, Mayer and other execs had observer networks to provide ongoing field observation and perspective they'd not have gotten via east/west coast tunnel vision. This film would make a good short to accompany this feature. "Trip to California" is a color 1952 production commissioned by Transworld Airlines to promote vacation travel. A young newlywed couple on their honeymoon run into a famous actor on an airplane ("You meet the nicest people on an airplane!") and the actor, so taken with the couple, invites them to his home for a swim in their pool, shows them around Los Angeles, and even shows them his home movies of other California attractions. Someone could turn this into a wonderful black comedy about a psychotic couple who turns the life of a poor, hapless actor upside down. Not quite on topic, but close enough--in 1967 arrangements were made for my family to tour MGM studios. I was around 11. I recall our getting the information on authentic "Metro-Goldwyn-Mayer" stationery, imprinted with a regal Leo the Lion. I was in total awe. It was like receiving a dispatch from OZ!I miss that kind of movie wonderment. On C.B.S. "Sunday Morning" program a couple of years ago, their music corespondent was asked to accompany Sir Paul McCartney to a wedding in upstate New York. On the way, they'd talk about his new album. The wedding was for one of McCartney's attorney's, and at the reception, nearly everyone wanted a picture or autograph with him. McCartney stayed until every single person there got an autograph. 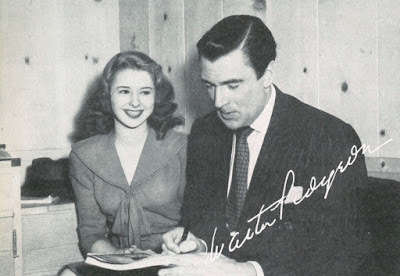 The corespondent asked Paul if signing autographs like that ever got old, and his response was telling. He said something like, "I wasn't always famous, and I know how it feels for them to meet me. When John Lennon and I met the Every Brothers before The Beatles were famous we were blown away." I found that if I cut the song in the diner in AT THE CIRCUS the picture improved immensely. Then I cut everything but the singing exit. That got a huge laugh.